PASADENA, CA January 1, 2007 – A small group of anti-war activists were able to get their message out at the New Year’s Day parade in Pasadena today. 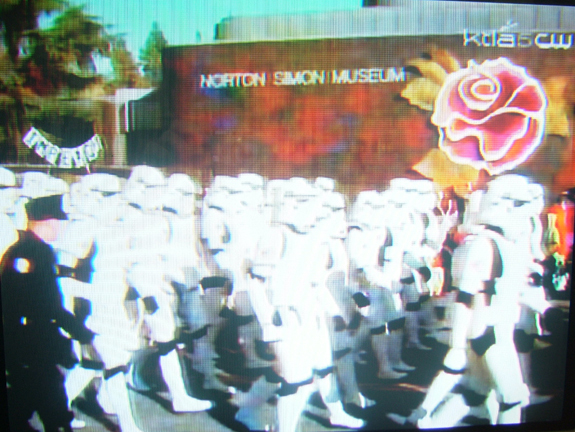 Peace activists succeeded in hanging a large banner which read “STOP WARS” along the parade route. 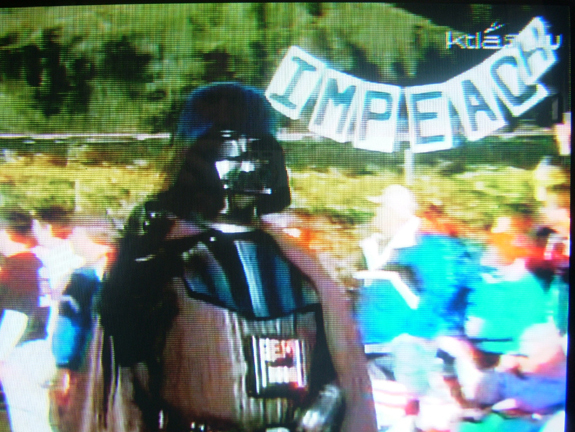 Also at another location a large sign reading “IMPEACH” was raised and clearly seen on a live TV broadcast of the parade. The response from the crowd was mostly positive with a few exceptions. Some peace signs were flashed from riders on parade floats and most parade goers expressed agreement with the peace activists. Harassment of the activists by police authorities however eventually forced the sign bearers to move. There are no reports of any arrests.